It’s time for another edition of Weekend Link Love! 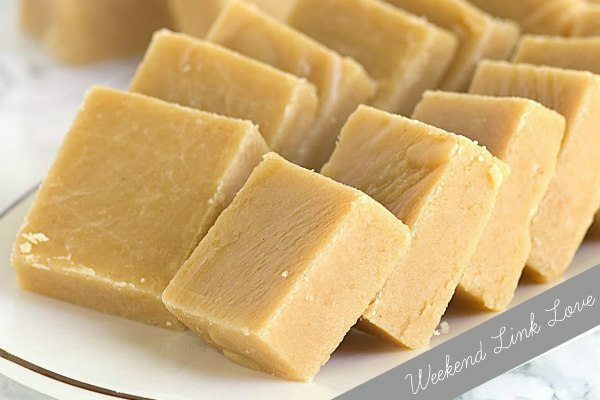 That glorious fudge that you see above is creamy Peanut Butter Fudge. My friend Miranda from the fabulous blog, Cookie Dough and Oven Mitt shot that photo to update an old, icky photo from my archives. Isn’t it lovely?? I haven’t been making sweets lately because I’m on DAY 19 of the Whole30 program. Can you believe I’ve made it that far?? You’re not supposed to weight yourself while on the journey, but since I’m mildly obsessed with weighing myself daily… I haven’t been able to resist. And I’ve dropped 10 pounds without even trying… just by eating foods that are good for me. Yay! The toughest things for me have been not being able to go out to dinner (because you can’t find foods that match the Whole30 program) and not drinking wine at all. I’ve been really happy with all of the recipes I’ve made. And it’s likely that I’ll keep some of these “new” habits around. Have you ever tried Whole30? It’s probably best to start with buying the book and reading every bit of it. We have mixed feelings about mushrooms in our house. My husband and I are both over-the-moon in love with them and will eat them here, there and everywhere. My son dubs them as the most disgusting things he’s ever put in his mouth. I keep telling the kiddo that SOMEDAY he will love mushrooms as much as us. He’s doubtful. 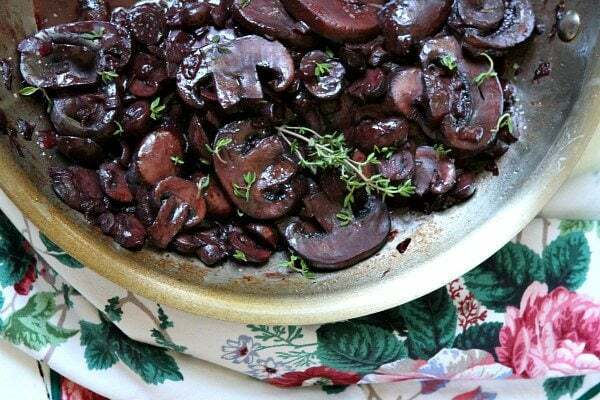 These mushrooms are drenched in red wine after a good sauté with a few onions and fresh thyme. Adult mushroom-lovers will like this recipe very much! 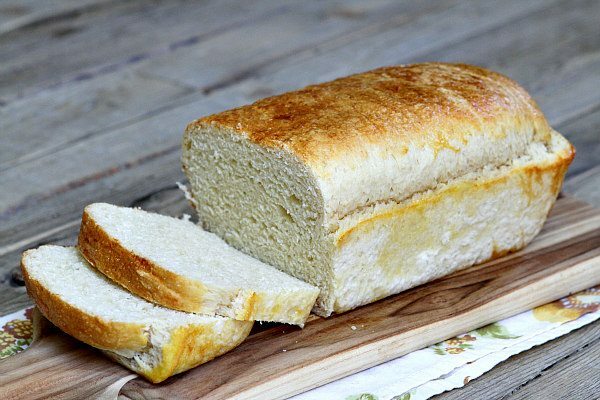 This is one of those recipes that is so surprisingly popular when you put it on your dinner table… or when you serve it up at parties. It’s usually one of the first things to disappear! People find those Ramen noodles irresistible. I know it seems weird, but they totally work in this salad!! 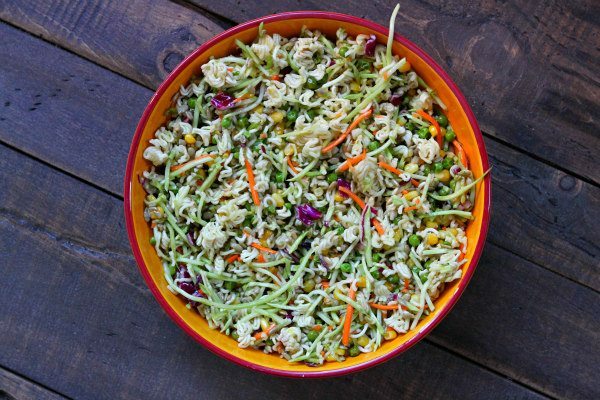 A tangy dressing marinates the dry noodles… turning them into a good texture for inclusion in a salad.